wide set of properties for sale in Juffair is available with full details about location, price, quality, and many other. Juffair properties are very popular for real estate investment since it’s a freehold area where foreign nationalities have the right to own properties. Moreover, there are numerous appealing developments scattered around the district including high rise apartment buildings and villa compounds. Juffair is a futuristic district located in the center of Manama and houses a wide set of entertainment destinations including shoppings malls, fancy restaurants and cafes, fitness gyms, spas, and many other. It’s highly favorable for foreign expats living in the kingdom. It’s also preferred by families since it has many facilities like retail centers, healthcare centers, and many other. Most of Juffair’s residential buildings boast an array of amenities like rooftop swimming pool, steam bath, fitness gym, spa, car parking lots, and many other. Juffair is currently witnessing a large scale real estate development activity that is redefining its urban status. Construction works are currently progressing on two new shopping centers in Juffair which are Mourjan Mall and Oasis Mall. Also new residential towers are being built which will boost the number of displayed apartments for rent in Juffair. Profitable real estate investment opportunities are available for buyers, it offers one of the highest profit rates in Bahrain thanks to its high annual rental revenues estimated at 10% in addition to its value appreciation rate that varies between 10% and 12% per year. Either looking for nice and affluent home in Bahrain or a property investment, Juffair is one of the locations you should consider. Juffair is the home of many exquisite residential developments like Juffair Views, Fontana Tower, Saray Tower, and many other. They all offer top standard interior designs and finishing in addition to a wide array of amenities. Juffair has a unique society of different nationalities living peacefully in one place. It offers a lofty style of living to all its residents since it teems with all needed facilities starting from schools, sports venues, banks, and many other. Most of the displayed properties for sale in Juffair offer splendid views of the sea and the city. 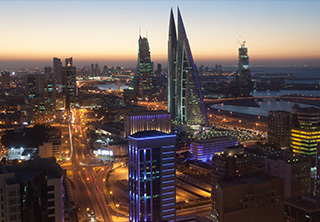 All Bahrain’s horizon can be viewed from any of its tall towers. A spectacular view that is not found anywhere else. Juffair properties come furnished, unfurnished, and semi furnished. Furnished properties are higher in price, but they are instantly ready to use. Juffair lies in a strategic location, it’s only 10-minute drive from Bahrain International Airport, it has a direct access to Muharraq Governorate through Prince Khalifa bin Salman Causeway and a direct connection to Sheikh Isa bin Salman Highway which makes it quite reachable from anywhere around Bahrain. Weetas offers a large assortment of properties for sale in Juffair varying in all specifications to meet all demands. Investing in Bahrain real estate market is now totally easy with Weetas, our lists are well curated to make the search process easier for users. All needed is browse the property list, check the images and descriptions, and choose the most suitable fit. Our sales team are always ready to get your inquiries and offer full support. It's worth mentioning that many of the featured prices are negotiable, we could get you special deals with better prices. Try it now and call us.